SILHOUETTE transforms visual data into audio data. This is prototype #1. At the "Superbooth19" I will be presenting prototype #2. I am happy to announce, that SILHOUETTE will have two build-in analog filters by René Schmitz called "Sallensteiner v1". 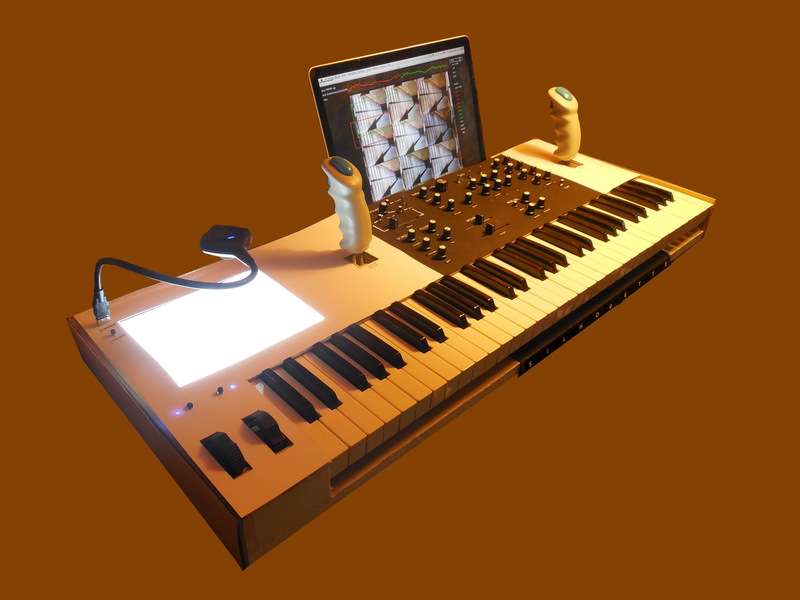 René is also going to build a eurorack unit with it and will be appearing at Superbooth19. 6-voice, seperate tuning and modulation, analog-filter, FX. SILHOUETTE trains itself to become a really extraordinary sound-scape-machine! Lecture-concert and screening at "Superbooth" ("Kino"). SUPERBOOTH19 – Berlin 09. - 11. May from HerrSchneider on Vimeo. Performance at the "Kommunales Kino", Hannover.